The whole package is neatly housed in a metal enclosure and sits partly in and partly out of your room's window. 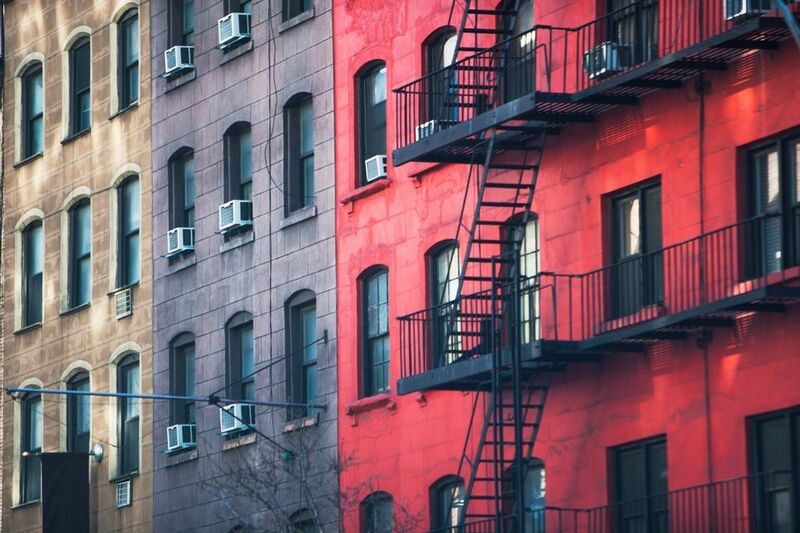 Even with yearly maintenance, there are some common issues that can occur with window units. Here's a look at how to fix them. The moisture condensate from the evaporator coil drains onto a metal pan at the bottom of the unit and runs outdoors through a hole or condensate drain tube in the back. Water dripping from the front of the air conditioner means that the pan is not sloping down toward the exterior but rather into the room. Correct the slope of the unit so that the pan slopes slightly downward toward the exterior. Many units are designed to be installed level, while the pan itself is sloped; the pan is properly sloped when the unit is level. This could be caused by the thermostat or temperature sensor not reading accurately. Confirm that the thermostat sensor is properly positioned near—but not touching—the evaporator coil; carefully adjust the thermostat wire, if necessary. Ensure the thermostat and front panel are not obstructed by drapes or other objects. Check that the condenser coil is not obstructed with leaves and that its fins are not damaged or bent; repair bent fins with a fin comb. Have the unit serviced and checked for a refrigerant leak if performance continues to worsen. A dirty air filter or dirty or damaged condenser coil could cause the unit not to cool any longer. Clean the air filter as directed by the manufacturer. Clean and inspect the condenser coil on the unit's exterior. Check condenser coil for damaged or bent fins; repair bent fins with a fine comb. This could happen simply because the unit is not plugged in completely, or the household electrical circuit's breaker has tripped or the fuse has blown. Provide a well-seated power plug connection; do not use an extension cord, which may not be rated for the high power draw of an air conditioner. Reset the circuit breaker or replace the fuse for the air conditioner circuit. Warning: A fuse must have the proper amperage rating for the circuit. Do not use a fuse with a higher amperage rating than the circuit wiring. For example, never replace an old 15-amp fuse with a new 20-amp fuse. This could be caused by an inadequately sized circuit (the circuit is overloaded). 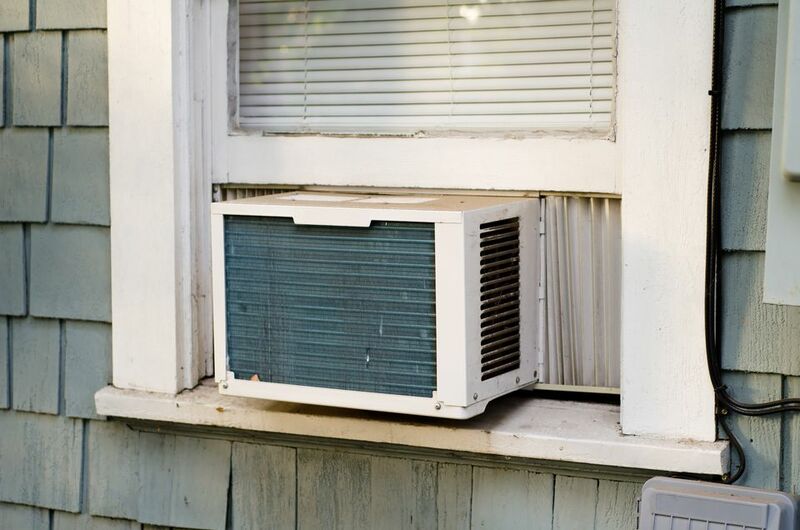 Most window air conditioners are designed to run on a standard 120-volt, 15-amp circuit, although large units may require 240-volt, 20-amp circuits. Ideally, air conditioners should be served by dedicated circuits that are not used by other devices. If there are other appliances using the same circuit as the air conditioner, the circuit can be overloaded, tripping the breaker or blowing the fuse. Turn off or disconnect other devices and appliances using the same circuit. Install a new, dedicated circuit for the air conditioner. Which Exhaust Vent Screen Is Right for Your Furnace? Top 7 Air Conditioning Tutorials You Need to Read!